Seniors who are in need of life insurance often wonder if they should choose a term life policy or a whole life policy. While both types of policies have their own upsides and downsides, a whole life policy might be a better choice life insurance for seniors due to a number of reasons. A whole life policy, true to its name, provides you with lifelong coverage. Unlike a term life policy, it does not expire after a set period of time. As a result, you do not have to renew it or apply for a new policy at any point. It can give you a sense of security – knowing that your financial commitments and your family’s financial needs will be taken care of, no matter when you pass away. One of the interesting features of a whole life policy is that the premium does not increase throughout the duration of the policy. Term life policies also have a level-premium period, but it cannot be extended indefinitely. When you renew the policy, the premiums invariably increase. With a whole life policy, however, you can be sure that the premium will never increase – even if you develop a health problem during the course of the policy. Whole life policies include a cash value account, which accrues interest and increases in value as long as you keep paying premiums. You can use the money in your cash value account in case of an emergency. This is a big advantage, especially for seniors who do not have a steady source of income during their post-retirement years. Some whole life policies also tend to pay dividends to their policyholders, which can be an extra source of income for you. While dividends are not guaranteed in most cases, reputed companies are known to pay dividends to all eligible policyholders every year. The best part is that the money in your cash value account and the dividends you are paid are not taxable. If you have a dependent with special needs or suffering from chronic ailments, the best way to make sure their needs are taken care of in your absence is to buy a whole life policy with sufficient death benefit. A term life policy is not of any use in such a situation, since it is set to expire after a certain period of time and if you outlive the policy, your dependents could be left in the lurch. If you have a farm or run a business whose liquidity is too low, your family might find it hard to pay estate taxes after your demise. With a whole life policy, you can make sure your family has enough money to pay estate taxes as well as other debts and outstanding bills. If you want to leave an inheritance for your family, a whole life policy is undoubtedly the best choice. With term life insurance, you have to consider the risk of outliving the policy, in which case your family does not receive any money. There are no such risks associated with a whole life policy and you can leave a large sum of money, on which your beneficiaries do not have to pay any taxes. Let us now take a look at the cost of an average whole life policy for senior citizens. The rates given below are calculated based on the insurability of an elderly male who is healthy enough to get qualified for the ‘preferred plus’ status. You might be charged a higher rate if you are overweight, use tobacco related products, or do anything that could increase your risk of mortality. There are several insurance providers that offer whole life policies which are designed to safeguard the financial needs of people from all walks of life. Given below are three whole life insurance companies that are rated highly by customers as well as independent agencies on a consistent basis. MassMutual’s whole life policies offer a death benefit which is guaranteed and a cash value account which grows in value at a steady rate. You are also eligible for dividends, though they are not guaranteed. MassMutual has an excellent track record when it comes to paying dividends to its policyholders. Since 1869, the company has paid dividends to all eligible policyholders every single year. What is even better is that the dividend rates have either increased steadily or stayed constant over the years. It is an extremely impressive record, which speaks volumes about the company’s financial strength, long-term stability, and its judicious approach towards investments. If you are looking for a policy with impressive living benefits, MassMutual is certainly the best choice. Northwestern Mutual has consistently received high ratings from credit rating agencies and is known for its financial strength. In 2017, it was voted by Fortune Magazine as the best company in terms of products and services offered. It is, without a doubt, one of the best whole life insurance providers in the industry today. Northwestern Mutual is also known for its generous rider packages. The company offers 15 different riders to choose from – including an accelerated death benefit rider, a critical illness rider, and a disability income rider. A life insurance policy, no matter how comprehensive, might not be sufficient to cover your financial needs at times. In such cases, a rider can be very useful, as it allows you to plan for several what-if scenarios. For example, what happens if you develop a chronic or critical illness? What happens if you lose your job and remain unemployed for a while? What happens if you become temporarily or permanently disabled due to an accident or illness? You can plan for all these scenarios with the help of appropriate riders. While all insurance companies offer riders, Northwestern Mutual stands out from the rest by offering an extremely impressive lineup of riders that are designed offer much-needed protection during critical situations. 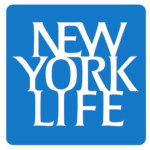 New York Life offers three different types of whole life policies. A traditional whole life policy with fixed premiums, guaranteed cash value growth, and a guaranteed death benefit. A custom whole life policy which allows you to choose your own premium payment period – you can create an accelerated payment schedule to pay it off quickly or make small payments that are well within your budget over a long period of time. A value whole life policy whose premiums are much lower compared to similar whole life policies available on the market today. New York Life is one of the few companies that pay dividends on a regular basis, even though they are not guaranteed. So, any which way you look at it, New York Life is an excellent choice for anyone who is looking to buy a whole life policy with impressive living benefits and a guaranteed death benefit. Is Term Life Insurance a Good Choice if Whole Life Insurance is Too Expensive? If whole life insurance is too expensive and beyond your budget, term life insurance could be the better option for you. There are, however, a couple of things you need to remember while choosing a term life policy over a whole life policy. Insurance companies will charge you more – even for a term life policy – owing to your age and any health problems you might have. It will, however, still be cheaper than a whole life policy in most cases. If you are in your 60’s or 70’s, you might only be able to buy a 10 or 15-year term life policy. If your family tree is full of long-lived individuals, you might outlive the policy, in which case you have to apply for a policy again. Basically, if you do not have any major financial commitments or dependents, a term life policy with a limited death benefit might be sufficient for you. Otherwise, you have to choose a permanent life policy. If you find whole life policies too expensive and if you are still in need of lifelong coverage, you can choose a guaranteed universal life (GUL) policy. It is a more affordable version of whole life insurance with level premium and a guaranteed death benefit up to the age of 120. If you are a senior with considerable financial commitments and dependents or if you simply want to bequeath a large sum of money to your family, a whole life policy is undoubtedly the right choice for you. There are several insurance providers that offer whole life policies that are specifically designed for seniors. So, irrespective of your age and budget, you can find a policy that meets your needs.